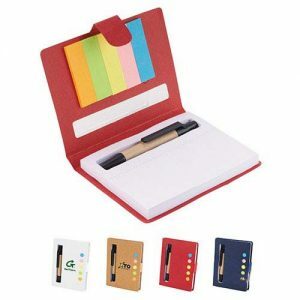 Our handy recycled notepad with pen is a great way to promote your brand and sustainability in one fell swoop. 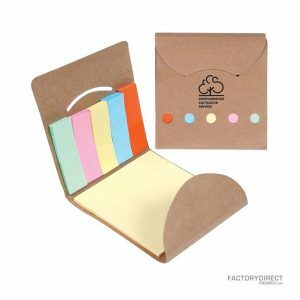 This well-made notepad is constructed from recycled materials and also features a convenient loop to hold the included eco-friendly pen, as well as an elastic band to secure the notepad. Imprint your company’s logo on the cover to increase your brand awareness while also sending the message that your company supports environmentally friendly practices and products.